You wouldn’t think that Martine is a big fan of the Three Stooges, but she is. She has seen every one of their shorts innumerable times. For the last twelve years or so, we have trekked to Glendale’s Alex Theatre see see their annual big screen event, usually on the Saturday after Thanksgiving. Today was the 21st annual Stooges show at the Alex. 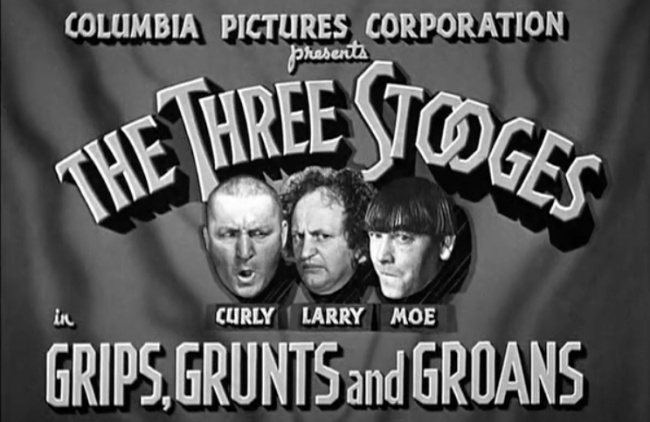 I am not about to claim that watching Stooge shorts is a sophisticated intellectual experience, but it is uproariously funny. There is something about watching same with a large appreciative audience that makes it funnier still. 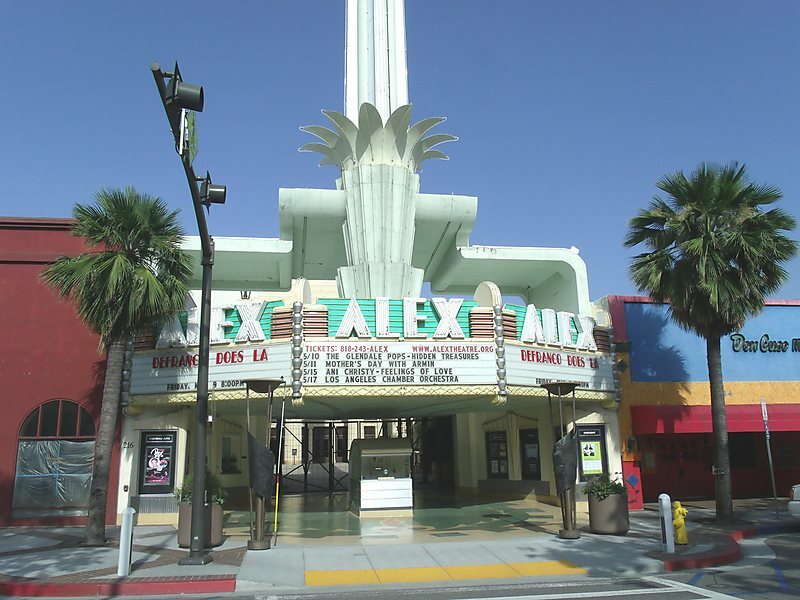 The Alex Theatre is on the National Register of Historic Places. Founded in the 1920s, it has become a venue for not only films, but occasional concerts. Two of the upcoming film programs include the Nutcracker Ballet with the Los Angeles Ballet (several dates in December) and “The Greatest Cartoons Ever” on December 26. One of the reasons that incline Martine toward events in Glendale is that she truly loves the way Armenians prepare chicken. (The City of Glendale is the largest Armenian city outside of Asia.) Glendale is the home to Sevan Chicken at Kenilworth and Glenoaks and Elena’s Greek and Armenian Restaurant at 1000 Glendale Boulevard. This entry was posted in film, food and tagged alex-theater, armenian, chicken, three-stooges. Bookmark the permalink. My nephew is a fan of the Three Stooges. I’ve always preferred Laurel and Hardy. Actually, I prefer Laurel and Hardy as well. It’s just that there is an active coterie of Stooge fans in Glendale. Anyway, Martine likes the Stooges plus the food – so all is good.